Could it be your morning coffee, dental hygiene, or an underlying medical condition? These are only a few of the elements responsible for bad breath. Is your breath less than fresh? If the cause of your stinky mouth is straightforward (e.g., cavities, dry mouth, or bacteria on your tongue), the solution is easy. There are few things more repugnant than dragon breath, especially when you’re dealing with a “close talker.” Even worse than being stifled by someone’s offensive mouth odor is having it yourself. If you or someone you’re close to (physically or emotionally) suffers from mouth stink, it’s time to find out what causes bad breath so you can treat it. All bad breath is caused by bacteria, which generally causes a short-term problem that can be easily fixed. In the case of halitosis, the bacteria contribute to a long-term problem. 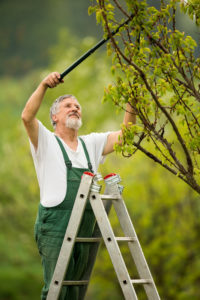 First, you need to figure out which type of germ is causing problems (e.g., bacteria caused by fermenting food particles or an overgrowth resulting from decreased saliva). Then you can get to work on ridding yourself of dragon breath. Your best detective? A dentist who will look at the whole picture, says Dr. Tyrone Rodriguez, spokesperson for the American Dental Association (ADA) and a board-certified pediatric dentist in Central Washington State. The First Floor (mouth) Cavities, gum disease, periodontal disease, dirty dentures, cracked fillings, a virus, or bacteria can all contribute to bad breath. 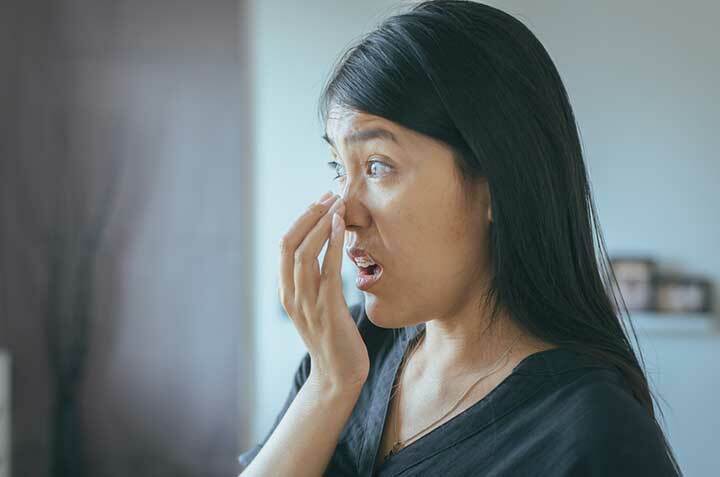 The Attic (nasal and sinus cavities) “Sometimes people have quite a bit of secretion in their nose because of allergies or chronic sinus infections,” Rodriguez says. Others (i.e. young children) may have a foreign object stuck up their nose, all of which may contribute to bad breath. The Basement (stomach) Digestive problems can cause bad breath. Conditions such as acid reflux, along with high protein diets (i.e. the Atkins diet), and a large consumption of fried foods are also major contributors. What Causes Bad Breath Today? In the past, the two most common causes of bad breath were alcohol (mainly the kind found in mouthwash) and smoking, says Rodriguez. Alcohol is a diuretic, so it will leave your mouth dry. The result: a reduction in saliva, which is essential to neutralizing acid and keeping your mouth fresh and clean. Today there’s been a shift in causal factors, Rodriguez explains. Alcohol-containing mouthwash has been usurped by marijuana use and vaping in terms of what causes bad breath. “These new social trends are causing bad breath and health issues in a different way,” he says. The Atkins diet, which encourages people to increase protein and reduce carbohydrates during meals, can contribute to bad breath, says Rodriguez. The reason? Proteins contain high amounts of sulfur (the same compound responsible for that putrid smell of eggs). The process of breaking down sulfur can create bad breath. Is your breath less than fresh? If the cause of your stinky mouth is straightforward (e.g., cavities, dry mouth, or bacteria on your tongue), the solution is easy. Drink more water. Also, brush, floss, and rinse every day. Extra points for doing so at least twice! Another tip: brush or scrape your tongue daily, especially the back, which is a breeding ground for bacteria, says Rodriguez. If your tongue isn’t pink, it’s not healthy. Other fresher breath solutions include: cutting back on sugar and alcohol, drinking more water, chewing sugar free gum, altering your diet to include less spicy, garlicky and fried foods, and swishing with alcohol-free mouthwash. For more tips, check out 7 Bad Breath Remedies. acid reflux, adenoids, alcohol, allergies, bacteria, bad breath remedies, cancer, children, coffee, dehydration, dentures, diabetes, diet, digestion, digestive, digestive problems, diuretic, fermenting, floss, food, garlic, gastric reflux, halitosis, health, liver disease, medical conditions, protein, reflux, sinus, sinus congestion, sinus infections, smoking, spices, sugar, types of cancer, virus, what causes bad breath.